The evening began with a beautiful traditional Ves Natuma known as Kandyan Dance performed by the instructors of the SLF School of Performing Arts. This centuries old tradition is said to be from a ritual performed in the 4th century BC to invoke blessings. 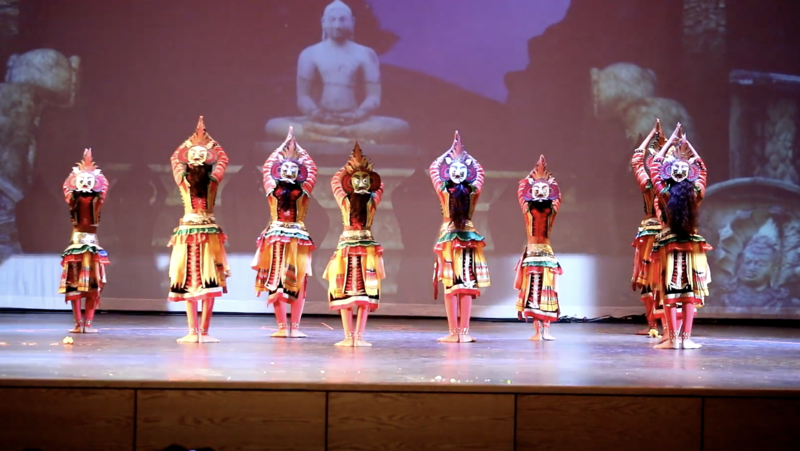 It demonstrates the prowess and brilliance of a traditional Kandyan dancer. The students of the Sri Lanka Foundation School of Performing Arts showcased the beauty of Sri Lanka through a unique dance item using Sri Lankan traditional dance and folk dances, choreographed by our very own teachers; Lal Thilakrathna, Chathuri Wickramarachchi & Umendra Kahadawarachchi. Then the audience were taken on a journey from Maradhana to Kandy aboard the Udarata Manike to witness the Esela Perahara by the drumming students of Sri Lanka Foundation School of Performing Arts. This unique creation was loved by everyone present. The gala event was organized by the Sri Lanka America Association of Southern California under the leadership of Seruk Manage, President, SLAASC. Members and past presidents of SLAASC joined in to help make this event a success.